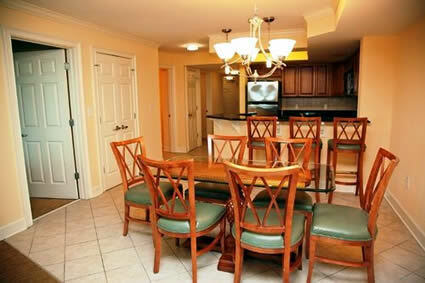 Nestled in an upscale section of Myrtle Beach, the Horizon at 77th resort offers an assortment of well appointed one, two and three bedroom condos. Horizon at 77th has so many recreational amenities you may never want to leave the property, but if you do the resort is conveniently located near championship golf courses and popular Myrtle Beach restaurants, shopping, shows and attractions-The Carolina Opry, Palace Theatre, Pavilion Nostalgia Park, Myrtle Waves Water Park and Broadway at the Beach. 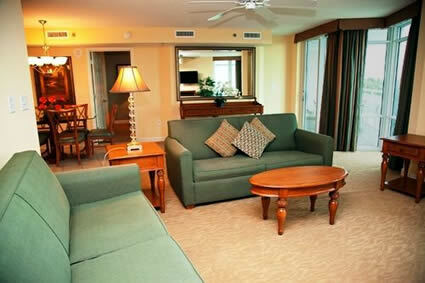 The entire family will love the fun-filled, recreational amenities found at the resort hotel. 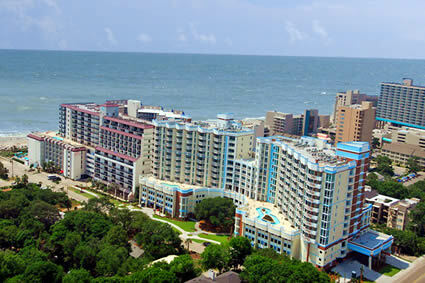 Enjoy the view from an elevated water recreation plaza overlooking the beautiful Atlantic Ocean. Grab a tube and relax as you float along the resort's lazy river. 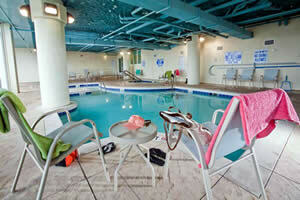 Take a dip in one of the indoor or outdoor pools. Relax in a hot tub or work on your tan from the rooftop sun deck. If you want to keep up your exercise regimen while you're on vacation, you can head on over to the resort's modern exercise facility with treadmills, stationary bikes and more. Guests staying in the Horizon at 77th resort will find modern, well appointed condominiums featuring fully equipped kitchens with tile floors, granite countertops & stainless steel appliances as well in-room washers & dryers, ceiling fans, large balconies and wireless internet access. 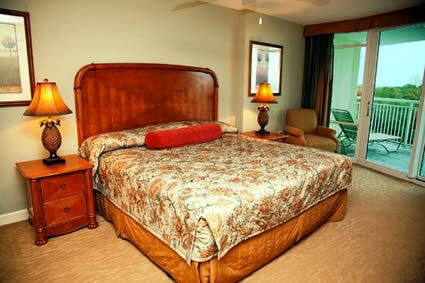 One, two and three bedroom condominiums are available with a variety of bedding options. 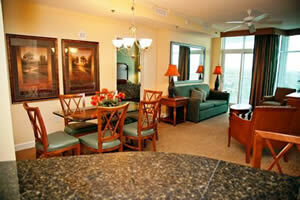 You can choose a one bedroom condo with a king size bed and a sleeper sofa. If you need a little more room, spacious two bedroom condominiums are available with a sleeper sofa in the living room and three different bedding options to choose from: 1 king size bed & 2 queen size beds, 1 king size bed & 1 queen size bed, or 2 king size beds. For larger families, three bedroom condos are available with a sleeper sofa in the living room and four bedding options: 1 king size bed & 3 queen size beds, 1 king size bed & 4 queen size beds, 2 king size beds & 2 queen size beds or 2 king size beds & 1 queen size bed. Book your Horizon condo today! 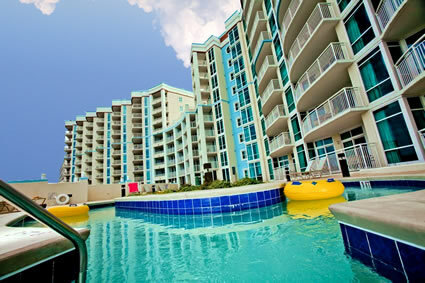 For Great Deals on more oceanfront hotels and resorts in Myrtle Beach, South Carolina and along the Grand Strand: Check out these fantastic Resort Vacation Specials and SAVE!